SANFORD, Fla. -- After one online gun auction site rejected George Zimmerman's ad to sell the pistol he used to kill unarmed African American teenager Trayvon Martin, another website has agreed to allow it. The website for United Gun Group posted the new link to the gun with a statement from Zimmerman on Thursday afternoon. However, the site apparently went down a few minutes later. The site calls itself a "social market place for the firearms community." 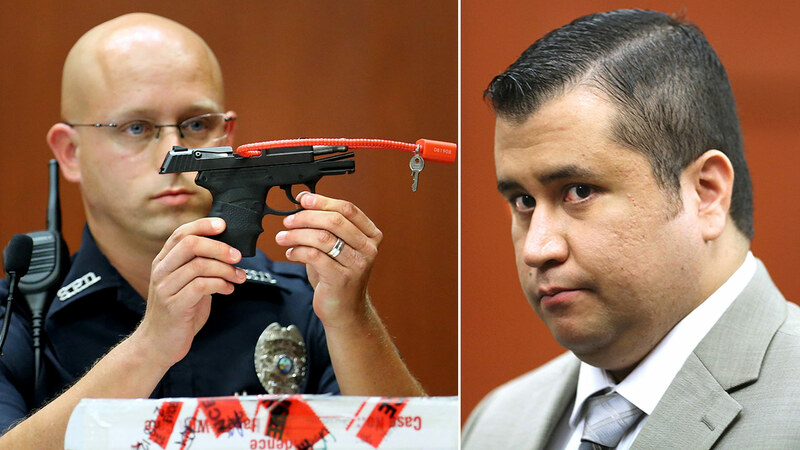 The U.S. Department of Justice returned the gun to Zimmerman, after the agency had held it since his acquittal in Martin's fatal shooting in 2012. Zimmerman was working with a volunteer neighborhood watch in Florida when he says he was attacked by the unarmed, 17-year-old Martin, and fired in self-defense. He was acquitted of criminal charges in the case. The weapon was removed from the GunBroker.com website minutes after the auction was to begin, with site officials saying they wanted no part in selling the pistol as negative traffic about the sale exploded online. In a statement posted on its website, GunBroker.com said listings are user generated, and that the company reserved the right to reject listings at its discretion. "Mr. Zimmerman never contacted anyone at GunBroker.com prior to or after the listing was created and no one at (the website) has any relationship with Zimmerman," the company wrote in its statement. "We want no part in the listing on our web site or in any of the publicity it is receiving."